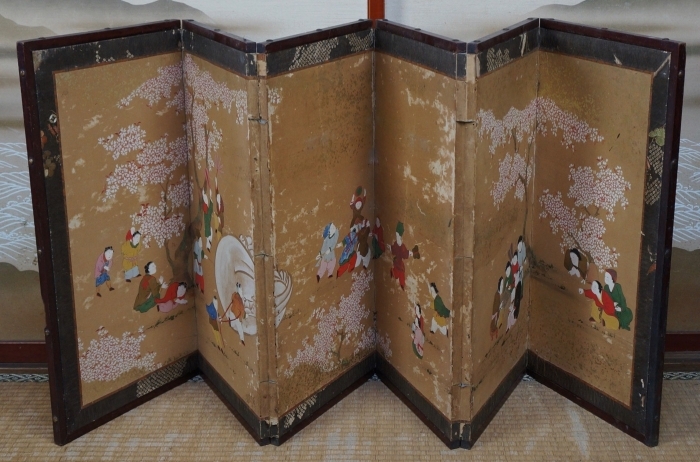 Antique Japanese art painting 1800s Byobu Japan interior wind screen. 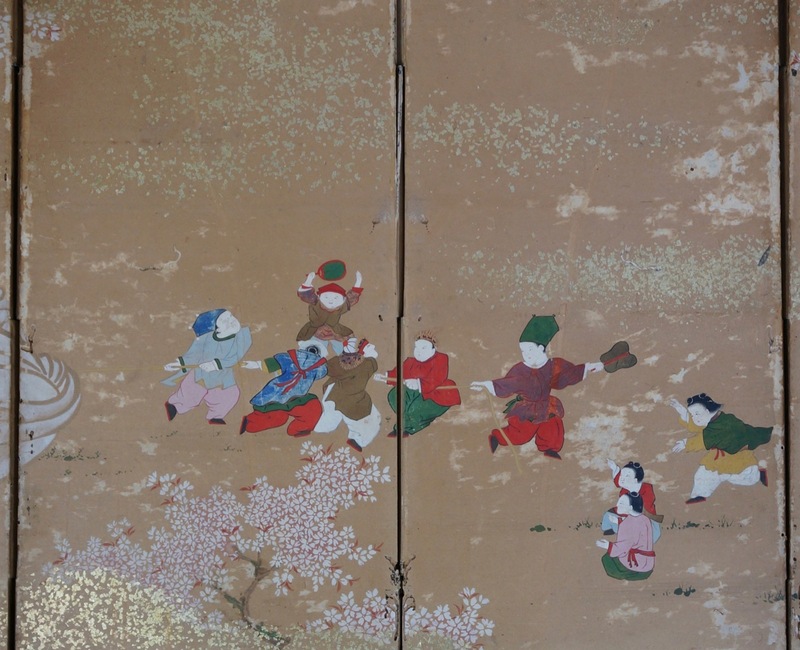 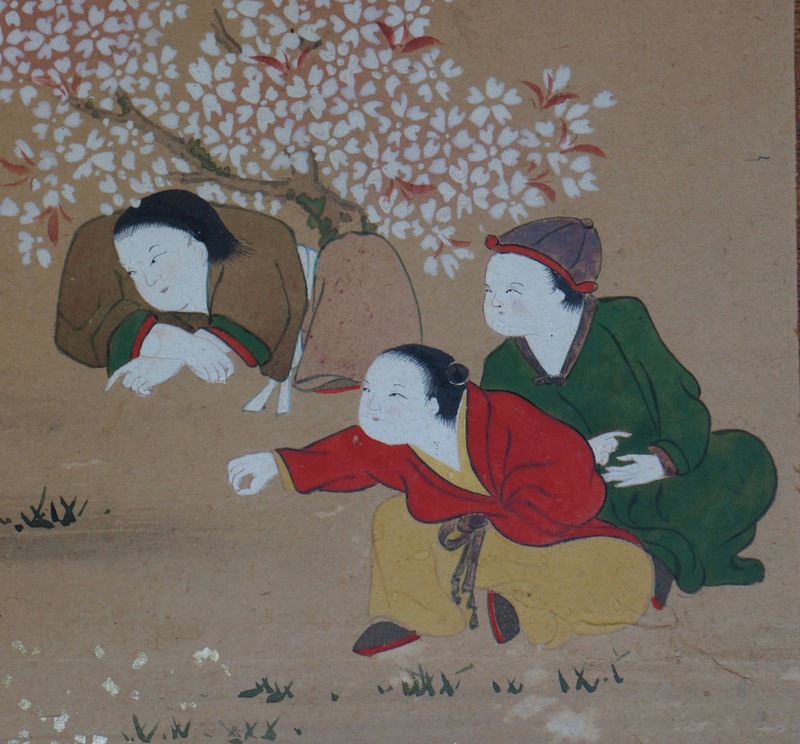 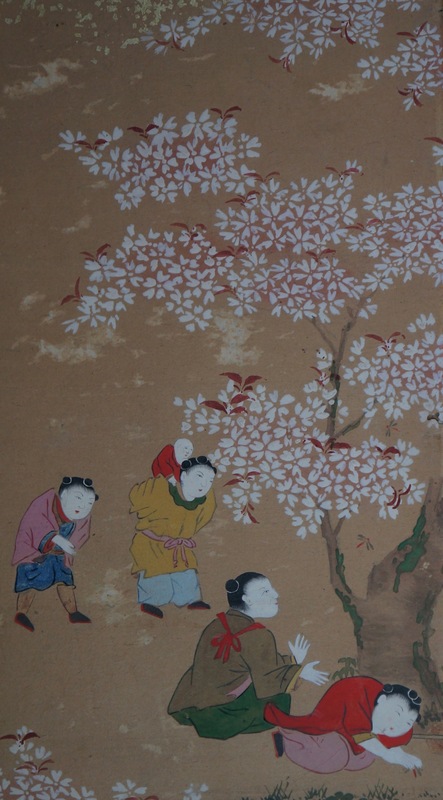 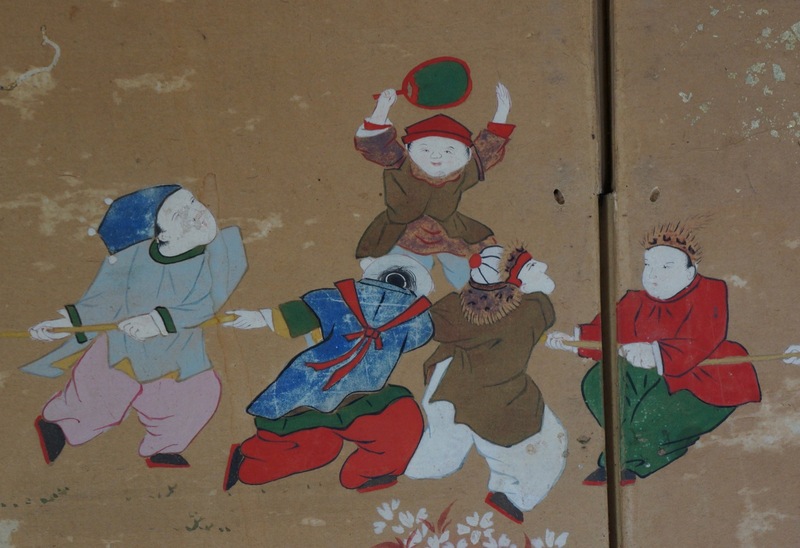 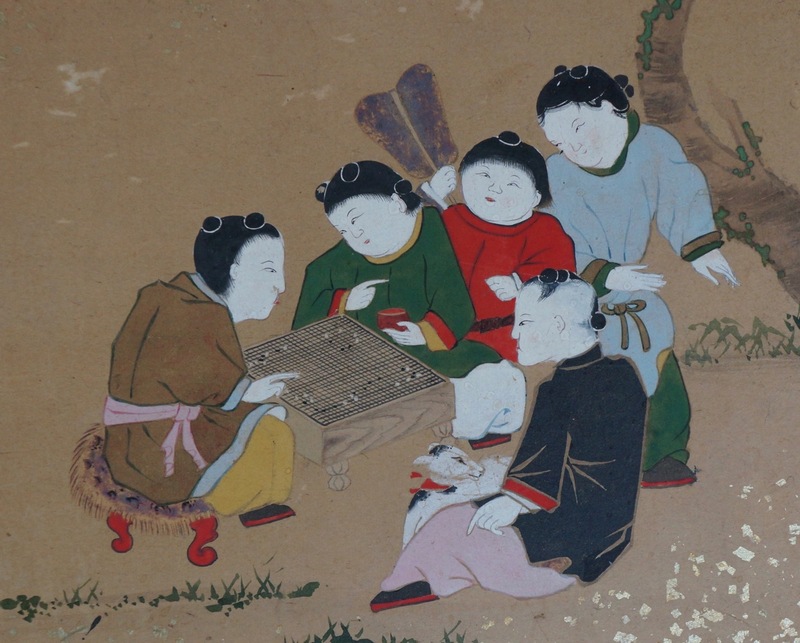 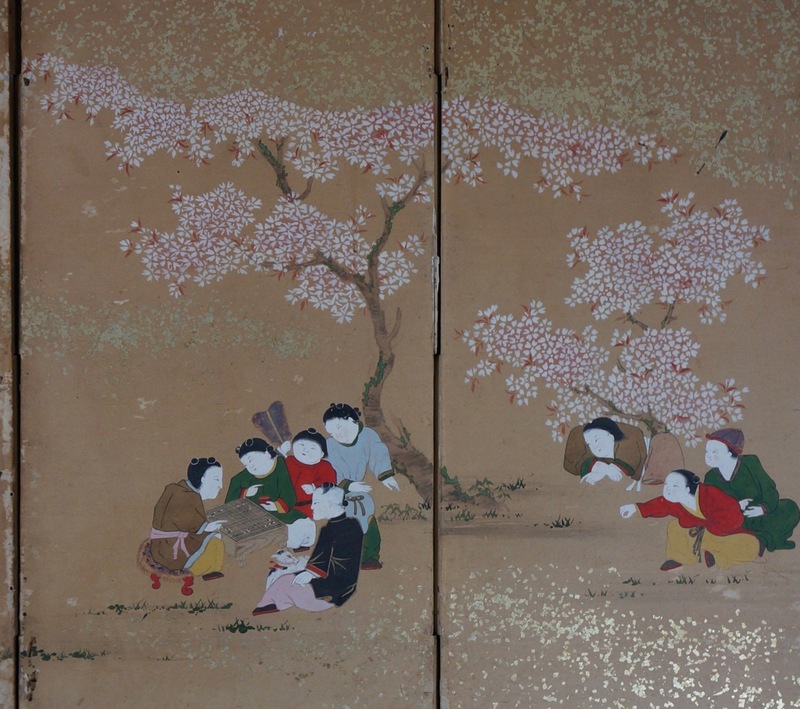 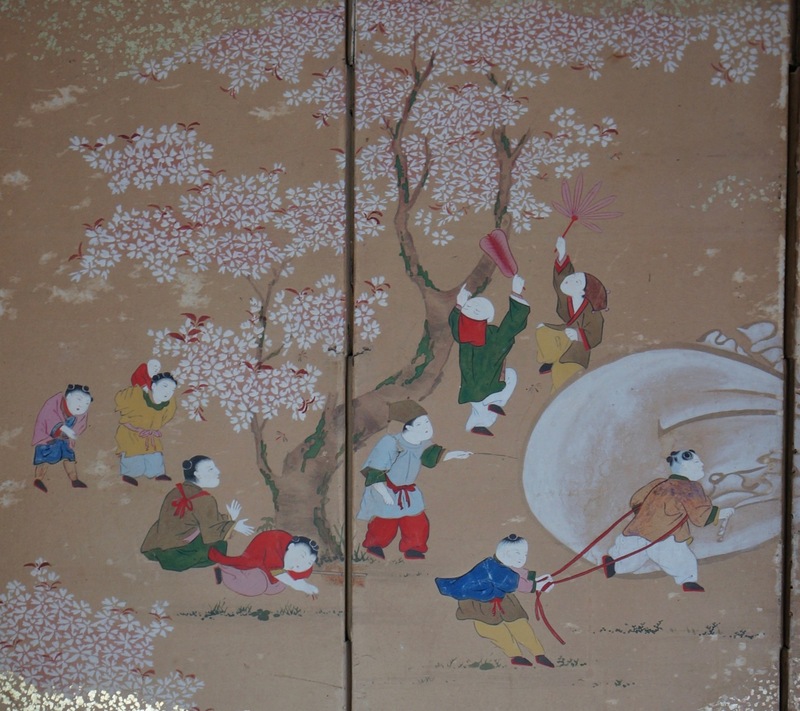 Antique Japanese art painting mounted on 6 panels wind screen Byoby decorated with playful characters, nice composition. 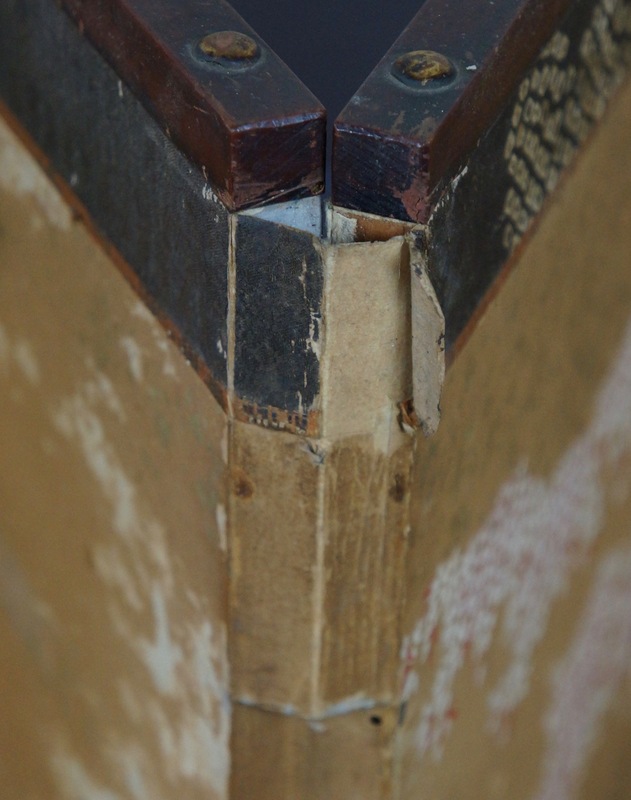 Wood sticture with inner part made of old letters and scripts papers. 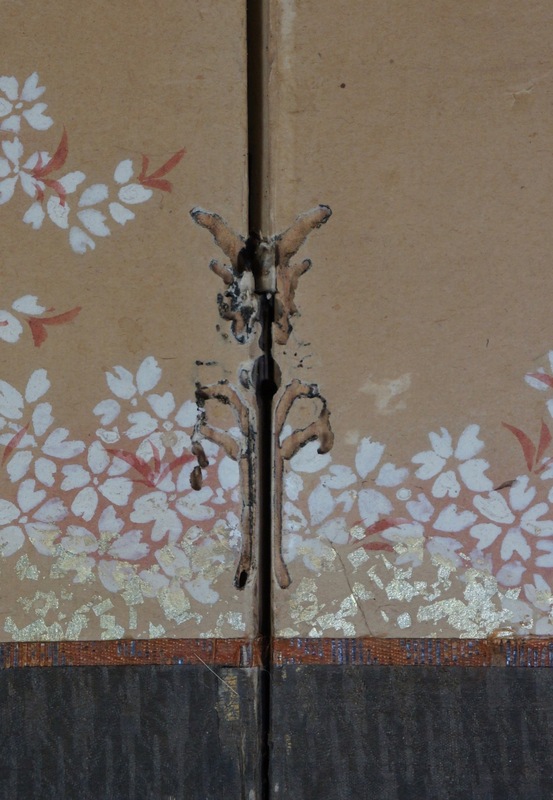 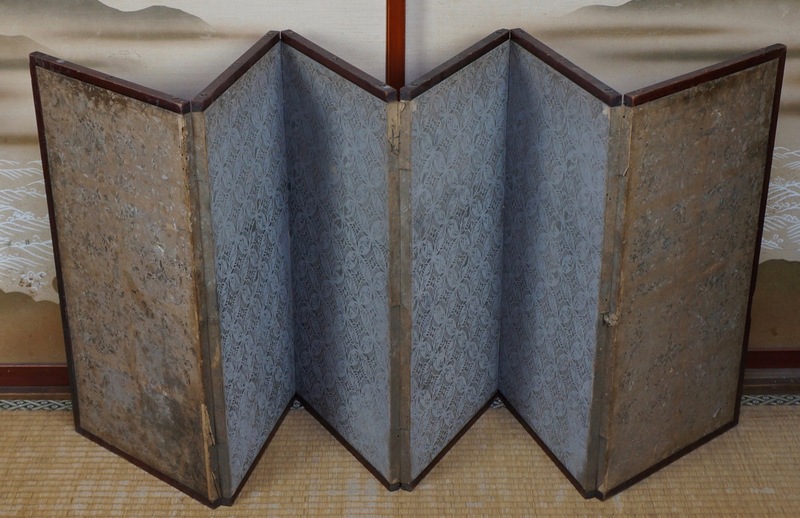 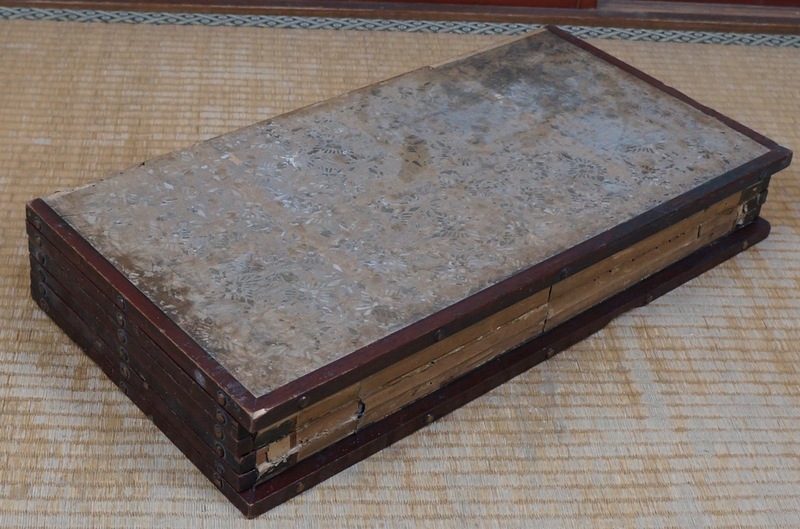 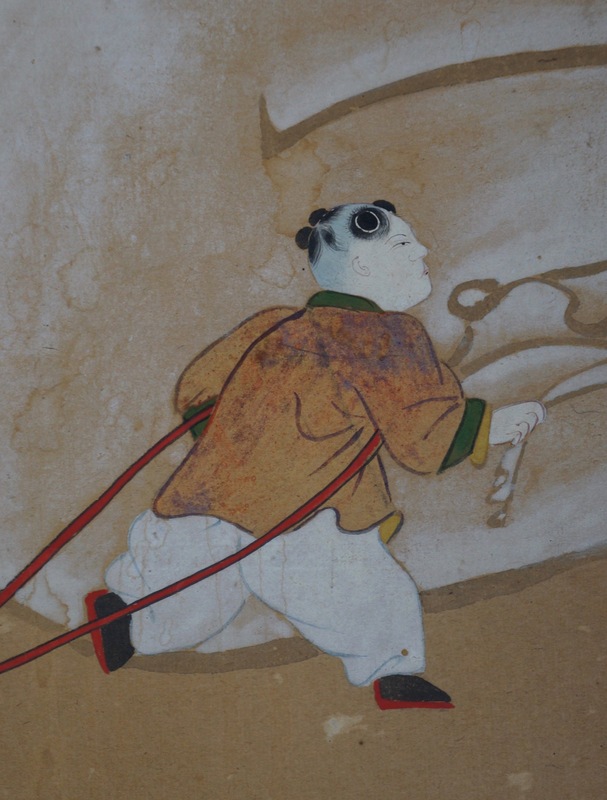 The Byobu shows extensive wear from long usage and time, in original conditions as found no restoration made. 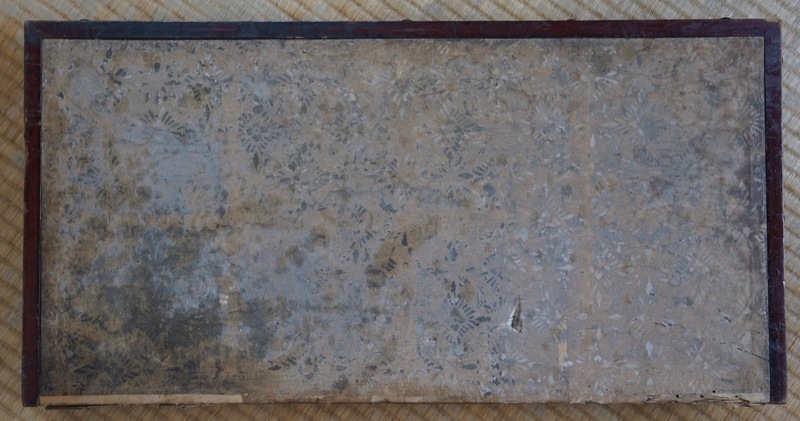 Conditions: medium, wear marks from long usage and time, please see detailed photos.